Episode recorded on May 13, 2015. ‘Shanghai Diva’ by Honoris Causa, in a cute mug and mug cosy, all gifts from my friend Sylvie. I am wearing my red floral Anna Dress by By Hand London. I mention Me Made May and episode 80 of the A Playful Day podcast. You can use the #gentlealong tag on Instagram. 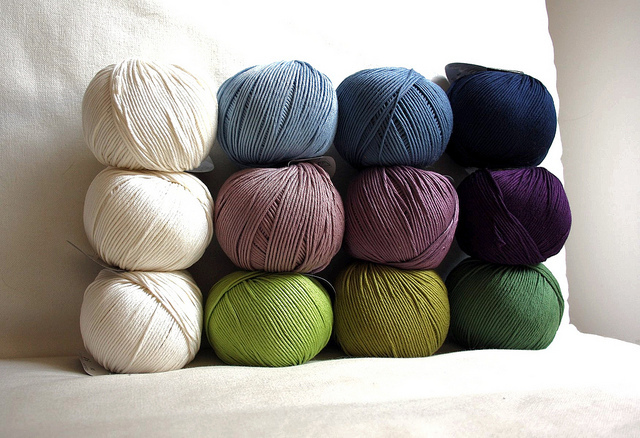 I will be attending Le Lot et La Laine wool and fiber festival on July 11-12 in the Ecomusée de Cuzals. 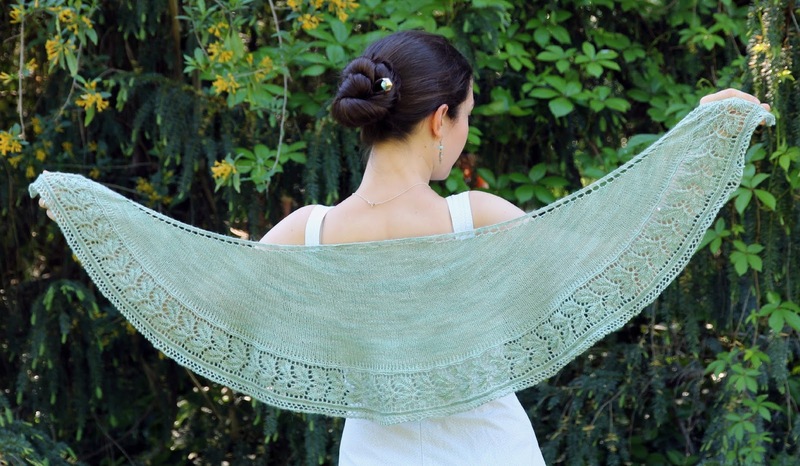 – I finished and published a shawl pattern – the Verdure Shawlette, which I knit out of Voolenvine Lush yarn, in her Succulent colourway. – I started the Lattice Shawl by Maria Montzka, out of HandMaiden Fine Yarns Casbah sock in the Waterfall colourway. 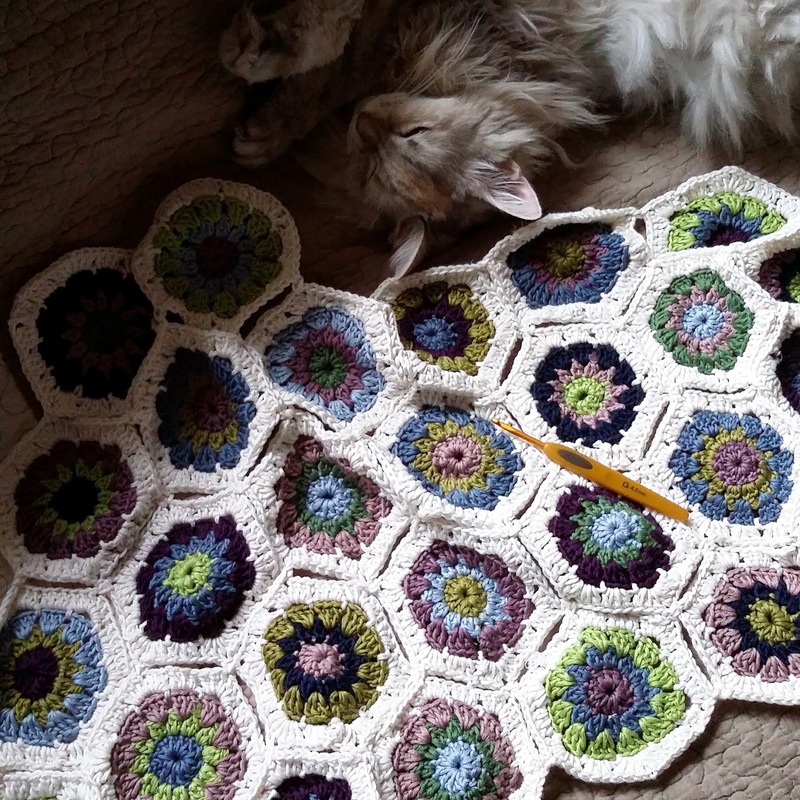 – I dug my hexagon blanket out of deep hibernation. Pattern is from the Attic24 blog. I am using Drops Muskat for this. 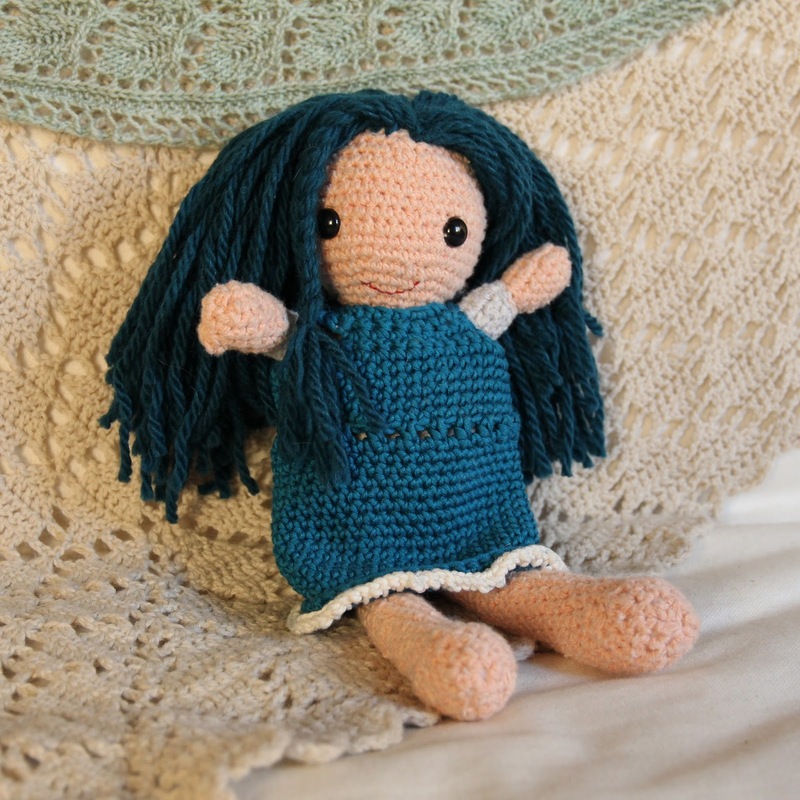 – I finished the Finders Keepers Amigurumi Doll. I followed this tutorial to attach the hair. I have been spinning Fuzzlings and Rolags from Fondant Fibre. 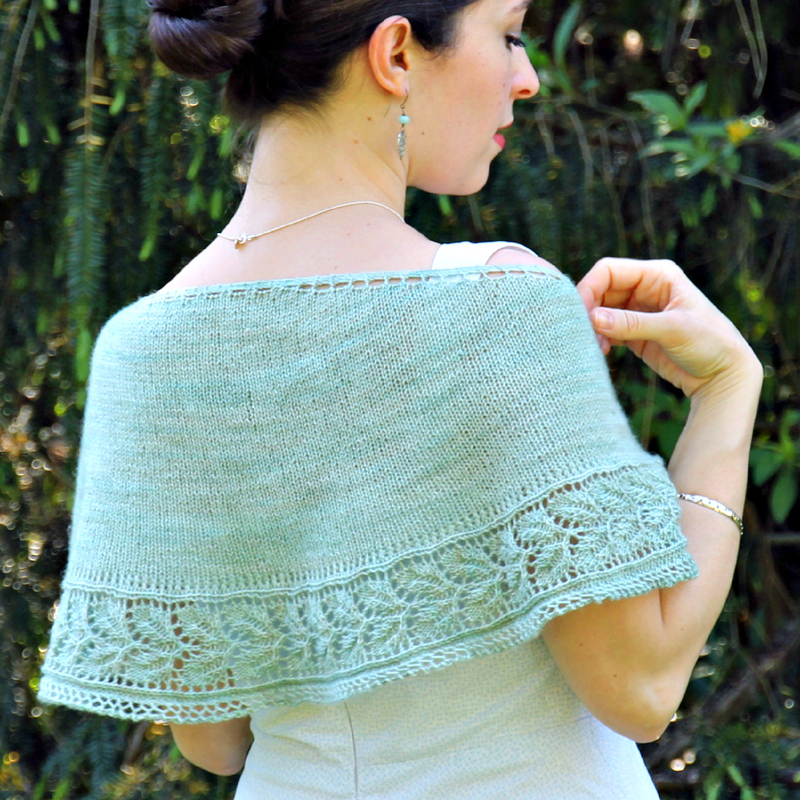 The laceweight cardigan whose name I blanked out on is Starling by Cecily Glowik McDonald. Hi Isabelle! I have been following here for a while now, and I have just “followed” you on instagram. My name on it is Sylvie 2b! I am in awe in front of your green shawl! I wish I could make such beautiful clothes for my family!